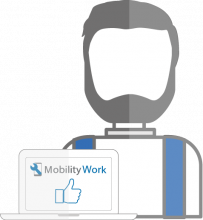 The mobile CMMS Mobility Work is easy to use and effective. Available in 13 languages, our application is available on Android, iOS or online. 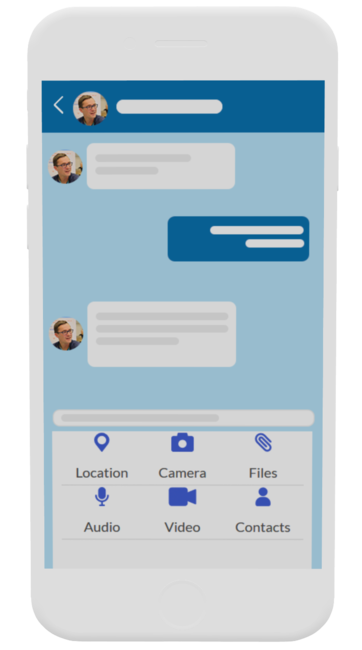 Easily enter your interventions on your smartphone and integrate documents to them. 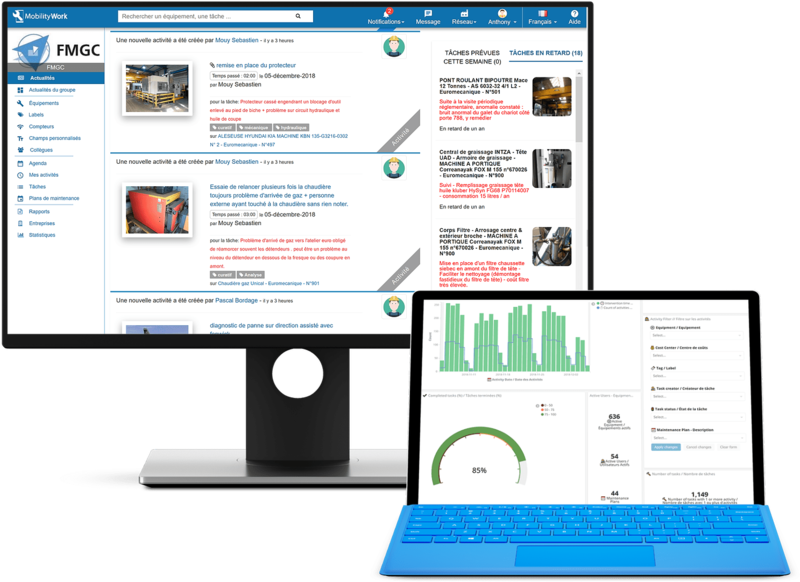 Easily access dynamic analysis reports of your interventions and reduce your equipment's downtime. Exchange expertise, spare parts and good practices with other community's members. Find the right providers by going through the profiles and catalogues of the official suppliers registered. "I am a Mobility Work fan: you had to dare to start with such a simple idea and promote such openness. " 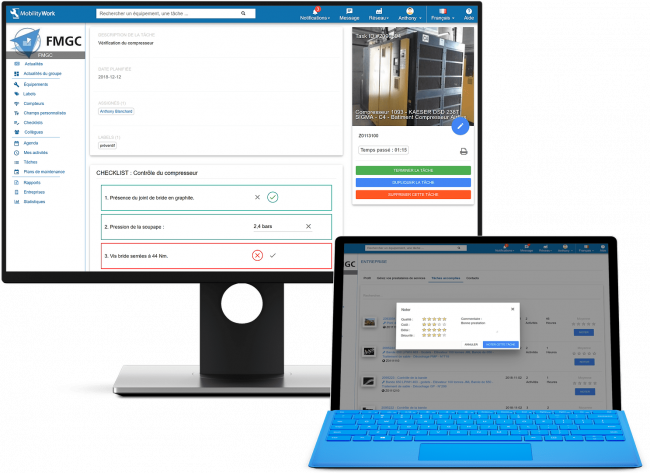 "Mobility Work stands out from other CMMS tools that are very constraining in terms of customization. " "We successfully obtained the ISO 9001:2015 certification, during which Mobility Work particularly stood out. " "I find it very satisfaying that Mobility Work constantly cares about customers and does its best to always improve the solution. " Mobility Work CMMS is used in many business fields and responds to the needs of many industries. If you work in the maintenance field, Mobility Work will inevitably meet your needs. Give in details about your operations, integrate the time spent on tasks as well as counter readings... and follow up these data's evolution. Scan the QR code and visualize the list of all interventions carried out on the piece of equipment. 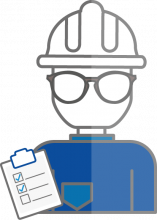 Easily send an intervention request in your CMMS software to the maintenance manager and follow its progress. 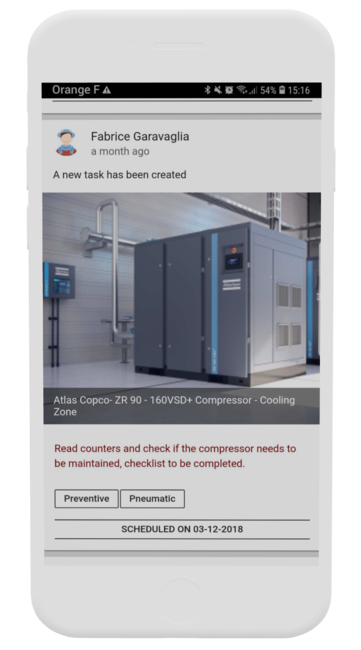 Visualize the ongoing maintenance operations from your mobile CMMS on your production line and remain informed. Easily access the intervention requests formulated by your customer.